What a weekend! We welcomed back two perennial favorite artists to Musical Masterworks — Pianist Rieko Aizawa and clarinetist Todd Palmer joined Artistic Director, Edward Arron for Beethoven’s charming Opus 11 trio and Glinka’s romantic and operatic Trio Pathétique. Rieko performed two beloved solo piano works by Chopin and Todd joined her for Poulenc’s exquisite Sonata for Clarinet and Piano. 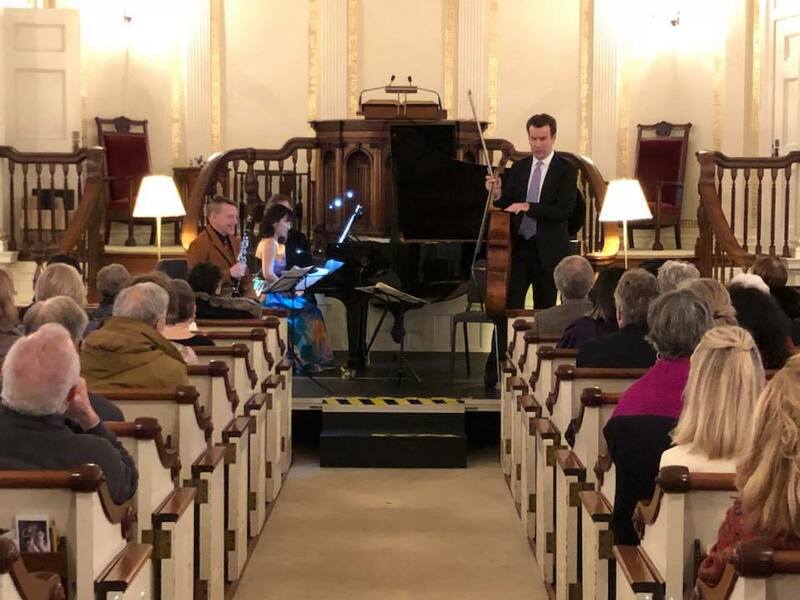 The program also featured a rip-roaring duo for clarinet and cello composed by Svante Henryson in 1996, entitled Off Pist, and concluded with a trio arrangement of Piazzolla’s impassioned Spring from Four Seasons of Buenos Aires. Many thanks to Burnett’s Landscaping for sponsoring Saturday’s concert. Thank you to our Piano Sponsor, Pasta Vita. Clarinetist Todd Palmer has been involved in an array of creative and diverse artistic presentations throughout his career.